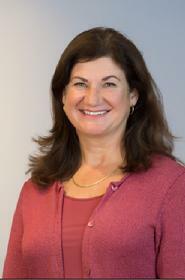 Meredith H. Weingarden is a Vice-President, Michigan State Counsel and National Commercial Agency Counsel for the Fidelity National Title Group, which encompasses Chicago Title Insurance Company, Fidelity National Title Insurance Company, and Commonwealth Land Title Insurance Company. Meredith is a member of the State Bar of Michigan, the Women Lawyers Association, the Real Property Law Section, the Oakland County Bar Association, and the Legislative Steering Committee of the Michigan Land Title Association. She also serves as Co-Chair of the MLTA Legislative Committee, has served on the Board of Directors of the MLTA, and is the Case Law Coordinator for the Residential Transactions Committee of the Real Property Section. In 2015, Meredith was given the Robert J. Jay Award by the MLTA in recognition of her contributions and service to the title industry. 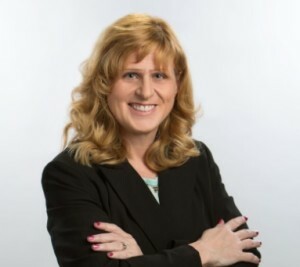 In addition to providing underwriting support, Meredith has acted as claims counsel, prepared and presented educational materials at FNTG and MLTA sponsored seminars, as well as for the Real Property Law Section/ICLE, conducted individual training sessions for agents and direct operations as requested, and written numerous articles for the MLTA publication, The Title Examiner. Meredith received her B.A. in Political Science from the University of Michigan, and her Juris Doctor from The Detroit College of Law. Cindy Immonen achieved her CLTP in July, 2015. Cindy joined the Fidelity National Title Group – Michigan Agency team in 2013 as an account manager for the State of Michigan. She has over 30 years of experience in the title industry and has held many positions within our industry. 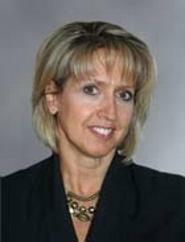 Cindy is an active member of the Michigan Land Title Association, as she currently serves as Director and as the Education Committee Chairperson. Cindy has developed a strong network of industry professionals and partners over the years. She remains committed to providing the best products and services in the marketplace. Cindy’s passion and expertise help her to identify and provide timely solutions to clients. 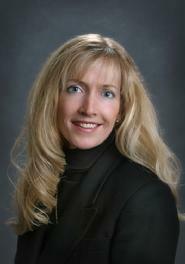 Cindy is a licensed title agent and a Michigan Land Title Association Certified Land Title Professional. She is a graduate of Lawrence Technological University. She currently serves as a trustee for the Clarenceville School District of Wayne and Oakland Counties. She is a native of Michigan and enjoys many activities with her family. Maura Snabes earned her CLTP designation in July, 2014. 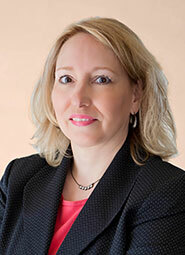 Ms. Snabes is a licensed Michigan attorney and began her career as underwriting/corporate counsel for Northern Michigan Title Company in 1994 and since 2002 has been VP/Underwriting Counsel for Corporate Settlement Solutions’ Michigan and National operations. In 1995, she established Northern Michigan 1031 Exchange Company (now known as Corporate Exchange Services) which is a qualified intermediary for forward, reverse and build-to-suit tax-deferred exchanges. She is a Certified Exchange Specialist® as certified by the Federation of Exchange Accommodators and a licensed Michigan real estate broker. She regularly gives seminars on 1031 exchanges and other real estate matters to real estate and tax professionals throughout the state. Ms. Snabes is co-chair of the Professional Designation Committee, is highly involved with her community and is a member of the State Bar of Michigan, Charlevoix-Emmet Bar Association, Phi Alpha Delta Law Fraternity, Zonta, the Antrim-Charlevoix-Kalkaska Association of Realtors and is a Girl Scout leader.Ms. Snabes lives with her husband and three children in Charlevoix, Michigan and enjoys singing and participating in and watching competitive sports. Robert Wuerfel achieved his CLTP in June, 2014. 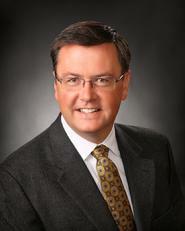 Bob graduated from Hope College in 1988 with a BA Degree in Management Emphasis. He was hired out of college, by The Title Office and placed into the Management Training Program, where later he was transferred to Eaton County to start up a location for the Title Office network. In 1991, Bob took an opportunity to work for Metropolitan Title and manage their Allegan County Office (the county in which his hometown of Hamilton was located). Over the years, Bob grew to an Area Manager role overseeing several locations. In 2001, an opportunity to become an Entrepreneur, Bob partnered with the Lighthouse Group and started Lighthouse Title. In 2004 Bob was named a Grand Rapids Business Journal “40 under 40” award winner as well as in 2010 was awarded the MLTA “Robert J. Jay” Award. Within the MLTA Association, Bob has been involved with many committees, with a passion for the Communication efforts of the “Title Examiner” the MLTA quarterly newsletter. In addition to committees, involvement on the MLTA Board for two terms and recently completing the 2013-14 term as Association President. Bob and his family (Shayne, Corinne, Alex and Anna) live in Holland, Michigan and he is involved outside of MLTA in his family, church and community activities. 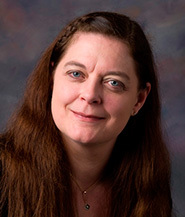 Deborah Wiley earned her CLTP Designation in June of 2013. 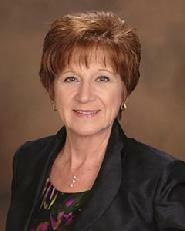 Debbie started her title career in 1976 posting the title plant for Burton Abstract and Title Company in Flint, MI. She has held various positions throughout her many years in the industry and is currently a Michigan Agency Account Manager for First American Title Insurance Company. She has been active in the Michigan Land Title Association (MLTA) for most of her career and continues to sit on numerous committees including the Education Committee which she chaired for several years. She also is a member of the Board of Review for the Professional Development Committee and was elected to the MLTA Board of Directors in 2011. Debbie lives in Howell, MI with her husband John and enjoys running and reading. Debra Bartlett earned her CTLP Designation in August, 2012. Ms. Bartlett’s career began in 1982 at Northern Michigan Title Company in Charlevoix, Michigan, where she eventually served as President. Her experience is multi-faceted in both the residential and commercial real estate and includes title, closings, underwriting, policies and construction. She joined the CSS staff in 2003, and currently oversees the Michigan offices while also coordinating closing services for National Operations. Debbie is a graduate of Ferris State University. A native of northern Michigan, she lives in East Jordan with her husband, Steve. Ms. Bartlett is a member of the Michigan Land Title Association and serves as chairperson for its Professional Development Committee. She is an affiliate member of the Antrim-Charlevoix-Kalkaska Association of Realtors, a licensed Real Estate Broker, and a licensed title insurance agent in Michigan. She enjoys camping and spending time with her three children. Sarah Maddox Sutton is the Fidelity National Title Group Midwest Agency Director of Education. Sutton conducts monthly webinars for the agents in our region, along with face to face training on a wide variety of Title, Escrow, Sales, Industry Best Practices, Non-Public Information, and Regulatory topics. Sarah’s services include ongoing development of educational seminars for the FNTG Midwest Region agents. Sutton’s background and experience include owning and managing her own title agency in Michigan. Prior to that, after many years acting as a closing broker for other real estate firms, Sarah opened a specialty niche real estate company. She personally has processed and closed over 5,000 transactions throughout her career. Sarah served for 9 years as Michigan State Agency Manager for Fidelity National Title Group (Fidelity, Chicago & Commonwealth). Sutton started her 30+ year career in the real estate industry. Past accolades include being a real estate continuing education instructor in Michigan; serving on the Board of Review for the content of the real estate broker state exam for licensing; serving on the Board of Review for content of the Michigan title insurance state exam for licensing; Co-Chaired the Michigan Land Title Association (MLTA) Education Committee & served on it for over 10 years; served on Professional Designation Committee and is a past Chair for the Public Relations/Communication Committee for the MLTA. Sutton also served as the Chair for the Board of Review for the new MLTA Professional Designation Program for five years. In addition, provides service as a member to the ALTA National Title Professional Designation committee. Sutton was one of the first to earn and hold the MLTA Certified Land Title Professional Designation in Michigan and was the first person in Michigan to obtain the prestigious American Land Title Association (ALTA) National Title Professional Designation. The FastTrack designation application is designed for those individuals who currently have the points necessary to acquire the designation of ALTP or CLTP, solely from their industry experience and MLTA participation in conferences, lobby days, and committees, as verified by the Executive Director of the MLTA. The application process is quicker due to the single source verification. The standard designation application is designed for licensed title agents with a minimum of 5 years’ employment in the title industry (for the CLTP designation) OR licensed title agents with at least 3 years’ employment in the title industry or licensed attorneys who have been actively handling real estate matters in Michigan for 5 years or more (for the ALTP designation). Additional requirements are as set forth in the applications available on this site. A unique development for the land title insurance industry is the professional recognition as Certified Land Title Professional (CLTP) or Associate Land Title Professional (ALTP) for those persons within the Michigan Land Title Association who, through combinations of education, experience and performance, have demonstrated a proficient knowledge of land title insurance. The Michigan Land Title Association, through its educational programs and its active committees, provides an ongoing program of continuing education and service opportunities for members of the land title insurance industry and for persons with a professional interest in land title services and insurance. The designations represent the highest measure of achievement in the land title insurance profession and follow the Professional Designation concept found in other lines of insurance. To assure that the awarding of this high honor is conducted in the most equitable, non-capricious manner, The Michigan Land Title Association Board of Directors has approved the following conditions and stringent procedures for candidacy and designation. Please review the Procedures for Designation, Requirements for Designation and Requirements for Candidacy before inquiring or applying for designation. Your designation as a Certified Land Title Professional affords you the ability to become a single member of the Michigan Land Title Association at a reduced rate if you are working for a company that is not a member of the Michigan Land Title Association. With your single membership you may reap the benefits of an Associate member. Your designation as a Certified Land Title Professional will provide name recognition on the Michigan Land Title Association’s Website in a separate section designated specifically for Certified Land Title Professional Designees. For complete details on the MLTA Professional Designation program and to download an application, please click here: Designation Application 06 29 17. Submit an Application for Designation of CLTP or ALTP with a $75, non-refundable, application fee payable to the MLTA – 124 W. Allegan, Suite 1700, Lansing, MI 48933. After receipt of your application you will be notified by the MLTA as to whether or not your application has been accepted. If your application is accepted by the MLTA your name and an Official Record of Progress showing your current points status will be posted on the MLTA website at www.milta.org under the “Professional Designation” link. You will also be given a user name and password by the MLTA to be able to access your information on the website. Each year as you complete functions that will earn you additional points you will need to submit these points for approval to the Chair of the Professional Development Committee at ProfDevChair@milta.org. When these points are approved they will be posted to your Official Record of Progress on the MLTA Professional Designation website. You will have 5 years from the acceptance of your application to earn the required amount of points to sit for the exam for the CLTP or ALTP. Once you have obtained the required points, you may elect to sit for the exam for the ALTP or CLTP designation by filling out the Application to Sit for Exam and submitting a $150, non-refundable, fee payable to the MLTA. If you obtain the ALTP certification first, you may then upgrade to the CLTP certification when additional required points are earned by filling out and submitting the Application for Upgrade from ALTP to CLTP and sending it to the MLTA with an additional upgrade fee of $50.00. You will be required to maintain your designation by meeting annual continuing education requirements of 100 points per year. Testing will be available upon request. CLTP Application: Designation Application 06 29 17 to download. Pay online below. CLTP Testing: Click here to download. Pay online below. ALTP to CLTP Upgrade: Click here to download.